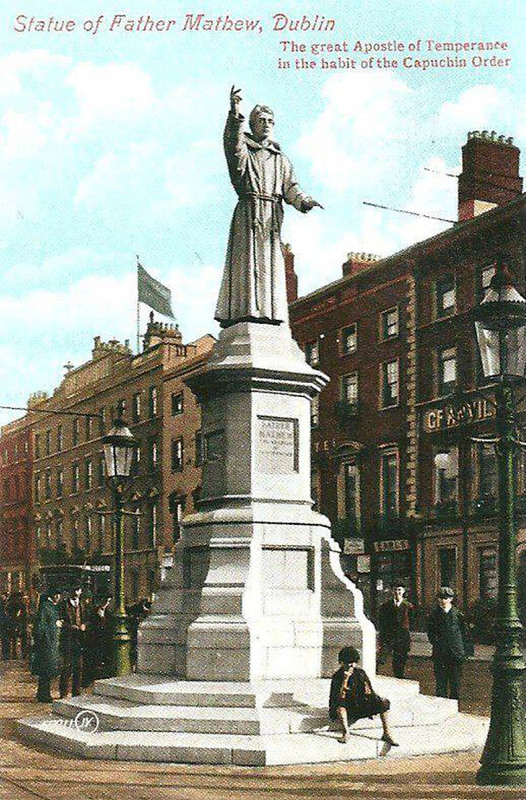 Fr Theobald Mathew (1790-1856) was a Cork-born Capuchin Friar who led a great temperance movement from 1839-1856. His anti-drink campaign is considered to have been a great social revolution that saw the establishment of Temperance Societies in every parish in the country. At its peak between 1838-1845, it was estimated that there were 3-4 million abstaining from drink in Ireland. This high number was aided by the fact that Fr Mathew appealed to every class and rank in society. In 1843, Fr Mathew went to England and Scotland where he had further success, and later spent over two years in the US where he gave the pledge in over 300 towns.